Increases productivity. Decreases physical strains. The Chairless Chair! Creating an ergonomic, comfortable, and even more productive workplace without extensive changes at the workplace – thanks to the Chairless Chair®, this now is possible. All it takes to work in a healthy position is putting on our device, which only requires a few seconds. 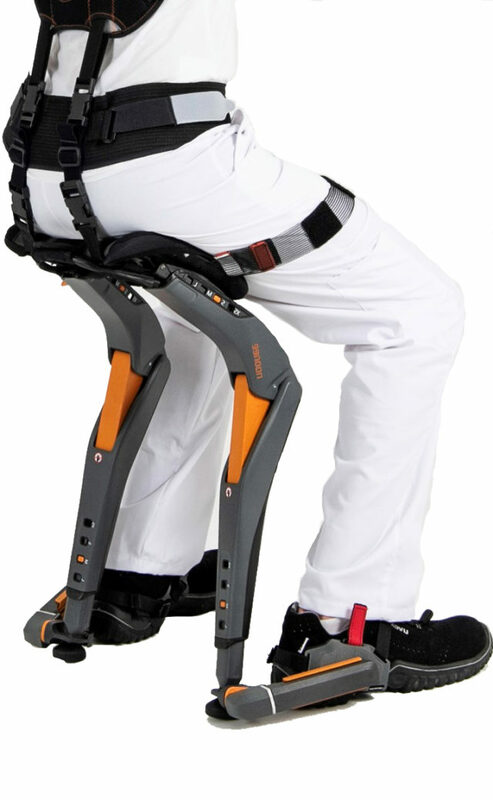 The Chairless Chair® allows you to effortlessly switch between an active sitting, standing, and walking position. This Innovation doesn’t cost you money – it saves you money, since the use of the Chairless Chair® reduces the amount of sick days and decreases capacity constraints.